The National Highway Traffic Safety Administration has announced the investigation of about 218,000 Mercedes-Benz C-Class vehicles due to a rear lighting problem that may lead to the taillight assembly igniting. The taillights on certain Mercedes-Benz C-Class vehicles may catch fire, this according to a report posted on the National Highway Traffic Administration website. As a result, the federal government has launched an investigation into roughly 218,000 model year 2008-2009 C-Class vehicles. The agency has received 21 complaints from drivers claiming rear lighting problems in the brake and/or turn signals. According to reports, lighting issues include lights that inadvertently dim, and others that do not illuminate at all. Most complaints indicate that lighting failure occurred in either the right or left taillight assembly, although some customers have reported simultaneous failure. Consumer complaints point to lamp connector failure as the culprit. In most cases, the lamp connector components have either burnt or melted. Some customers have reported smelling smoke or seeing burn marks in the trunks of their cars. The most serious example involves a C-Class customer seeing small flames coming from the rear lamp connector when the trunk was open. “This is a tremendous safety issue and I respectfully request that your agency address this matter with Mercedes,” wrote the owner to the NHTSA. 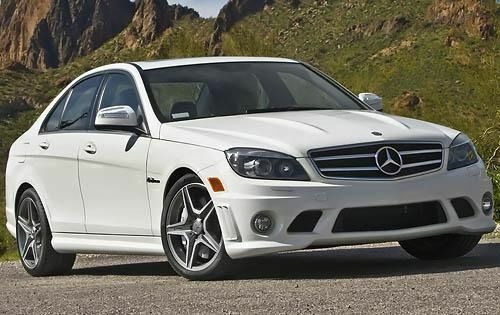 According to the owner, a Mercedes dealer in Missouri was contacted, and the owner was informed that the automaker would not remedy the glitch with a recall. Another Mercedes-Benz C-Class owner reported that the dashboard warning lights came on while driving at night indicating that the left and right taillights had failed. The driver proceeded to pull over and open the trunk only to find it filled with smoke and the smell of burnt plastic. The owner told the NHTSA that both lamp assemblies had been damaged by fire. Luckily, no drivers have reported any injuries in relation to the flaming taillights. The NHTSA will now evaluate the scope and frequency of the defect to determine whether a recall is necessary. Screening – The agency conducts a preliminary review of consumer complaints related to the defect to determine whether to open an investigation. In addition to customer complaints, the NHTSA also examines service bulletins and other information prepared by the car manufacturer. Petition Analysis – A study of any petitions calling for defect investigations and/or reviews of safety-related recalls. Anyone can submit a petition requesting the NHTSA to open an investigation into a potential safety defect. Investigation – An investigation into all alleged safety defects reported by customers. They are conducted in two phases: the Preliminary Evaluation and the Engineering Analysis. Recall Management – An investigation of safety recall effectiveness. The NHTSA’s monitoring of recall effectiveness may lead to a recall investigation being opened.